Norman Jesse Whitfield was born on the 12th May 1940, in Harlem, New York City, USA, and was a songwriter, music producer and arranger, and is best known for his collaboration with Berry Gordy’s record label – Motown – for which he wrote numerous hit singles such as “I Heard it Through the Grapevine”, “War”, “Just My Imagination (Running Away with Me)” and “Papa Was a Rollin’ Stone” among plenty of others. He was also widely recognized for his work with The Temptations, producing eight of their studio albums, as well as for his own record label Whitfield Records. Norman passed away in 2008. Have you ever wondered how much wealth he accumulated for life? How rich would Norman Whitefield be today? According to sources, it is estimated that the total amount of Norman Whitfield’s net worth, as of early 2017, would exceed the sum of $10 million, acquired by his prosperous career in the music industry which spanned almost 50 years. Norman was raised in Harlem where he spent the majority of his spare time in pool halls. After moving to Detroit, Michigan, with his family in his late teens, he matriculated from Northwestern High School. His first professional engagement came at his age of 19, when he began serving in Motown headquarters Hitsville U.S.A. in its quality control department. This engagement provided the basis for Norman Whitfield’s net worth and also helped him to set his foot in the world of songwriting. His songwriting career began in the early 1960s when he was included in co-writing The Marvelettes’ hit single “Too Many Fish in the Sea”, Marvin Gaye’s “Pride & Joy” and later “Needle in a Haystack” written for The Velvelettes. However, his real breakthrough came in 1966 when Whitfield became the main producer for The Temptations music group. During the next 12 years ‘til 1974, he produced all the group’s material, including eight studio albums, and also wrote a dozen of their hit singles. After 1968, Whitfield turned towards darker and harder sound, blending funk and psychedelic rock. He also changed the main subjects of his lyrics, from love to social issues such as politics, war and poverty. Later that year his “Cloud Nine”, performed by The Temptations was honored with a prestigious Grammy Award which was followed by another Grammy for “Papa Was a Rollin’ Stone” which was released in 1973. 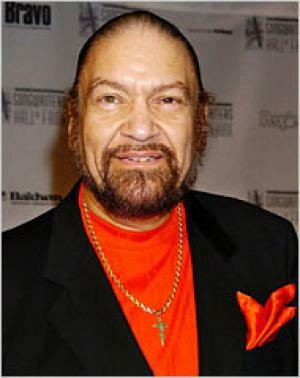 All these accomplishments provided a significant boost to Norman Whitfield’s wealth. In 1975 he split with Motown and founded his own record label – Whitfield Records. Some of his first projects included releasing The Undisputed Truth’s hit single “You + Me = Love”. In 1976, Whitfield wrote and produced Rose Royce’s hit single “Car Wash” which in 1977 served as the main theme for Michael Schultz’s eponymous comedy movie “Car Wash”, and earned him another Grammy Award. Doubtlessly, all these ventures made positive impact on Whitfield’s net worth. In 1983, Whitfield teamed up with Motown again, and produced The Temptations’ hit single “Sailing Away” while in 1985 he produced the original soundtrack of another Schultz movie, the martial arts cult classic – “The Last Dragon”. In 2004, Norman was inducted into the Songwriter’s Hall of Fame. It is certain that these achievements helped Whitfield to further increase his wealth. When it comes to his personal life, Norman Whitfield managed to keep it private – he had five children but details of their mother(s) is lacking. In 2005 he faced tax evasion charges – apparently between 1995 and 1999 he earned around $500,000 per year but failed to report a total income of over $2 million. He pleaded guilty and was ordered to pay $25,000 fine and spend the next six months in house confinement. After several years fighting diabetes, Norman Whitfield passed away at the age of 68, on the 16th September 2008 in Cedars-Sinai Medical Center in Los Angeles, California. He was survived by his daughter and four sons from who he had eight grandchildren. 1 He wanted Berry Gordy (head of Motown Records) to have Marvin Gaye record "I Heard It Through the Grapevine". This was after Gordy had rejected the idea of recording it with Gaye, the Miracles, or the Isley Brothers. Whitfield gave the song to Gladys Knight and the Pips, who made it Motown's bestselling single at the time. Gordy then agreed to have Gaye record it, and Gaye's version remains Motown's biggest hit single. 2 He was a longtime Motown producer and founded his own record label, Whitfield Records, in 1973. 3 He co-wrote "I Heard It Through the Grapevine", "Papa Was A Rollin' Stone", "Ball of Confusion", "War", "Smilin' Faces", and "Just My Imagination (Runnin' Away with Me)". 4 Survived by his daughter, Irasha; sons, Norman; Michael; Johnnie; and Roland; a brother, Bill; eight grandchildren, and one great-grandchild. 5 1976 Grammy winner for Best Original TV or Motion Picture score for Car Wash (1976). 6 1972 Grammy winner for Best R&B Song for "Papa Was a Rolling Stone.". 7 Co-wrote many songs with Barrett Strong. 8 Inducted into the Songwriters Hall of Fame in 2004. Dead Presidents 1995 writer: "Just My Imagination Running Away With Me", "Smiling Faces Sometimes"
Moonlight and Valentino 1995 writer: "I Can't Get Next To You"
Panther 1995/I writer: "Just My Imagination Running Away With Me"
Friday 1995 writer: "I Heard It Through the Grapevine", "I Wanna Get Next to You"
Tommy Boy 1995 "Ain't Too Proud To Beg"
The Walking Dead 1995 writer: "I Heard It Through The Grapevine", "Smiling Faces Sometimes"
Little Giants 1994 writer: "CAR WASH"
Sister Act 2: Back in the Habit 1993 writer: "Ball of Confusion That's What the World Is Today"
Last Light 1993 TV Movie writer: "I Heard It Through the Grapevine"
Raisins Sold Out: The California Raisins II 1990 TV Movie writer: "I Heard It Through The Grapevine"
Going Overboard 1989 writer: "Just My Imagination Running Away With Me"
K-9 1989 writer: "CAR WASH"
I'm Gonna Git You Sucka 1988 producer: "War" / writer: "I'm Gonna Git You Sucka", "War"
Short Circuit 2 1988 writer: "I Heard it Through the Grapevine"
Coming to America 1988 writer: "Pride And Joy"
Eddie Murphy: Raw 1987 Documentary "Ain't Too Proud To Beg" / producer: "Ain't Too Proud To Beg"
Hamburger Hill 1987 writer: "I Wish It Would Rain"
Otto - Der Neue Film 1987 writer: "I Heard It Through the Grapevine"
Gardens of Stone 1987 writer: "I Heard It Through the Grapevine"
Making Mr. Right 1987 writer: "Too Many Fish In The Sea"
One More Saturday Night 1986 producer: "War" / writer: "War"
Jo Jo Dancer, Your Life Is Calling 1986 writer: "I Heard It Through the Grapevine"
Live Aid 1985 TV Special documentary writer: "That's the way Love is"
The Last Dragon 1985 producer: "The Last Dragon", "Stand Your Ground", "The Final Test" / writer: "The Last Dragon", "Stand Your Ground", "The Final Test"
DTV: Rock, Rhythm & Blues 1984 Video writer: "Friendship Train", "I Heard It Through The Grapevine"
The Big Chill 1983 writer: "Ain't Too Proud to Beg", "I Heard It Through the Grapevine"
Girl Groups: The Story of a Sound 1983 TV Movie documentary writer: "Needle in a Haystack"
Airplane II: The Sequel 1982 writer: "Car Wash"
Let's Spend the Night Together 1982 Documentary "Just My Imagination Running Away With Me"
Where the Buffalo Roam 1980 writer: "Papa Was A Rollin Stone"
Which Way Is Up? 1977 lyrics: "Which Way Is Up?" / music: "Which Way Is Up?" The Richard Pryor Special? 1977 TV Special writer: "I Heard It Through the Grapevine"
Bridget Jones's Baby 2016 writer: "Just My Imagination Running Away With Me", "I Heard It Through The Grapevine"
Bienvenue à Marly-Gomont 2016 writer: "Papa Was a Rolling Stone"
Teenage Mutant Ninja Turtles: Out of the Shadows 2016 writer: "War"
Aloha, Bobby and Rose 1975 writer: "Just My Imagination"
The Nice Guys 2016 writer: "PAPA WAS A ROLLIN' STONE"
Save the Children 1973 Documentary writer: "I Heard It Through the Grapevine"
Live Another Day 2016 Documentary writer: "Ain't Too Proud To Beg"
It's What's Happening, Baby! 1965 TV Special writer: "Pride and Joy"
Woodlawn 2015 writer: "Friendship Train"
The T.A.M.I. Show 1964 Documentary writer: "Pride and Joy"
The Equalizer 2014 writer: "Friendship Train"
Ride Along 2014 writer: "I Wanna Get Next To You"
Grudge Match 2013 writer: "War"
American Hustle 2013 writer: "Papa Was a Rollin' Stone"
Grand Theft Auto V 2013 Video Game writer: "Smiling Faces Sometimes"
Mademoiselle C 2013 Documentary "People Movin'"
Think Like a Man 2012 writer: "I Can't Get Next To You"
Big Mommas: Like Father, Like Son 2011 writer: "Papa Was A Rollin' Stone"
Cry Baby: The Pedal that Rocks the World 2011 Video documentary writer: "Cloud 9", "Papa Was A Rolling Stone"
The Perfect Host 2010 writer: "Car Wash"
Halloween II 2009 writer: "I Know I'm Losing You"
Little New York 2009 writer: "Smiling Faces Sometimes"
Blood: The Last Vampire 2009 writer: "War"
Fired Up! 2009 writer: "Knockin' Boots"
Flash of Genius 2008 writer: "Too Many Fish in the Sea" - as Norman Whitfield Jr. Eye See Me 2007 "Cloud Nine"
29 und noch Jungfrau 2007 TV Movie writer: "Car Wash"
Ultimate Sessions 2006 Video documentary writer: "Car Wash"
Duet Impossible 2006 TV Special writer: "I Heard It Through The Grape Vine"
The Passion: Films, Faith & Fury 2006 TV Movie documentary writer: "War"
SingStar Rocks! 2006 Video Game writer: "I Heard It Through The Grapevine"
The Science of Sleep 2006 writer: "Big John Is My Name"
Big Momma's House 2 2006 writer: "Back Again"
Munich 2005 writer: "Papa Was a Rollin' Stone"
Karaoke Revolution Party 2005 Video Game as Norman J. Whitfield, "Ain't Too Proud To Beg"
Romanzo criminale 2005 writer: "I heard it through the grapevine", "I heard it through the Grapevine"
Four Brothers 2005 as Norman J. Whitfield, "CLOUD NINE", "I WISH IT WOULD RAIN", "TAKE A LOOK AROUND", "PAPA WAS A ROLLING STONE", "SMILING FACES SOMETIMES"
Motown: The Early Years 2005 TV Movie documentary writer: "Needle in a Haystack", "Ain't Too Proud To Beg"
Guy X 2005 writer: "War"
Shark Tale 2004 writer: "Car Wash Shark Tale Mix"
The Life and Death of Peter Sellers 2004 writer: "I Heard it Through the Grapevine"
Agent Cody Banks 2: Destination London 2004 writer: "War"
Never Die Alone 2004 writer: "I Want to Get Next to You"
Along Came Polly 2004 writer: "LUV ME LUV ME"
Cheaper by the Dozen 2003 writer: "Back Again"
Gothika 2003 writer: "Papa Was a Rolling Stone"
The Fighting Temptations 2003 as Norman Jesse Whitfield, "Back Again"
In the Cut 2003 music: "Just My Imagination Running Away With Me"
Dickie Roberts: Former Child Star 2003 "Just My Imagination Running Away with Me"
Tupac: Resurrection 2003 Documentary writer: "Holler If Ya' Hear Me"
Dark Blue 2002 writer: "Homicide"
Party at the Palace: The Queen's Concerts, Buckingham Palace 2002 TV Movie documentary writer: "I Heard It Through The Grapevine"
Undercover Brother 2002 writer: "Car Wash"
Standing in the Shadows of Motown 2002 Documentary as Norman J. Whitfield, "Ain't Too Proud To Beg", "I Heard It Through the Grapevine", "Cloud Nine", "Girl Why You Wanna Make Me Blue", "Ball Of Confusion That's What The World Is Today", "Pride And Joy"
High Heels and Low Lifes 2001 writer: "War"
The Invisible Circus 2001 writer: "Cloud 9"
Remember the Titans 2000 writer: "I Heard It Through the Grapevine", "Superstar Remember How You Got Where You Are", "Ain't Too Proud To Beg"
Men of Honor 2000 writer: "I Wish It Would Rain"
Duets 2000 writer: "Just My Imagination Running Away With Me"
Ali-Frazier I: One Nation... Divisible 2000 TV Movie documentary writer: "War"
Boys and Girls 2000 writer: "Car Wash The Pop Rox Car Jack Remix"
Honest 2000 writer: "Take a Stroll thru Your Mind"
Our Friend, Martin 1999 Video writer: "Friendship Train"
Pitch People 1999 Documentary writer: "Cloud Nine"
Family Law 1999 TV Series writer: "War"
The Mod Squad 1999 writer: "Car Wash"
Rush Hour 1998 writer: "War"
Safe Men 1998 writer: "Car Wash"
How Stella Got Her Groove Back 1998 writer: - as N. Whitfield / writer: "Luv Me, Luv Me"
Small Soldiers 1998 writer: "War"
Hope Floats 1998 writer: "I Can't Get Next to You"
Real Women 1998 TV Series writer: "I Heard It Through the Grapevine"
Red Corner 1997 writer: "I Heard It Through The Grapevine"
Money Talks 1997 writer: "Car Wash"
Private Parts 1997 writer: "Papa Was A Rollin' Stone"
Where 'D' Girls 'R' 1996 writer: "Ohh Boy"